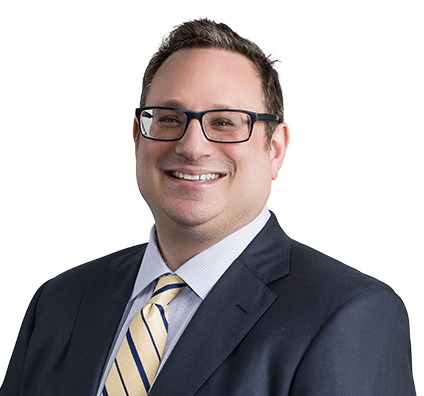 Eric concentrates his practice on toxic tort, mass tort and product liability litigation, with specific experience advocating for business clients in premises and product cases alleging exposure to asbestos, PCBs and industrial chemicals. Having previously practiced in a small litigation boutique, Eric brings to the table an attentive, client centered ethic reflective of small firm experience, blended with a thorough understanding of the technology, processes and wide-ranging support afforded by large firm practice. Eric has extensive experience focused on insurance coverage questions, extra contractual liability claims, construction litigation and commercial disputes. Many of the insurance coverage questions he has handled involve complex, multimillion-dollar claims. In addition, Eric has experience in state and federal intellectual property litigation, employment law, trucking law and personal injury defense. Admitted to practice law in Missouri and Illinois, Eric has appeared before state and federal courts and administrative bodies throughout those states, and has tried cases in multiple jurisdictions. He is a member of the Missouri Bar (Litigation, Insurance, and Construction Law Committees), the Illinois Bar Association and the Bar Association of Metropolitan St. Louis. Corporate counsel for construction consulting company in multimillion-dollar insurance subrogation action related to catastrophic roof failure. Prosecuted and defended mechanics lien actions for contractors, owners and lending institutions from initial filing of notice of lien through appellate argument. Defended company against U.S. Department of Labor investigation of Occupational Safety and Health Administration (OSHA) whistleblower complaints. Eric joined the firm in 2015.